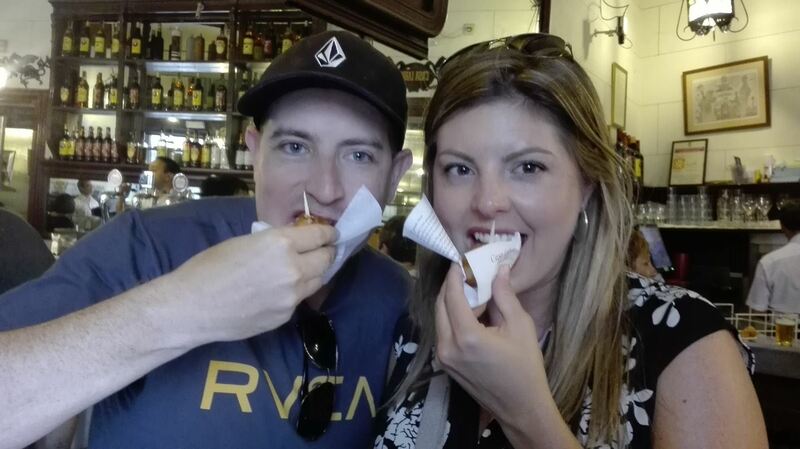 Our Madrid tapa tours would not be the same without a delicious “croqueta” tapa, or croquette. During or Spanish tapa tour in Madrid, we stop at one of the most popular tapas bar to taste one of these delicious Spanish croqueta tapas delights. Our customer really love this simple but not so simple tapas treat. Our Madrid walking tours involves some walking, and what a better way to fill up the tank by enjoying some of the best Spanish tapas in Madrid. Today we are going to give you a little history about the croquette. Most Spanish people are puzzled when you tell them that the corqueta was imported from France! It has traveled a lot since then, it is also very popular in Sicily, in Holland and Belgium, and of course Spain, where it can be eaten as a main dish for one, or shared as tapa in a social setting. There is even a variety of a croquette in Japanese cuisine called Korokke, in Germany it’s called Kroket, but potato based, and not béchamel based as they are in Spain. We tell our North American Native Spanish Tapas customers that the closest thing to a croqueta is a tater-tott, but when they try the Spanish croqueta, they feel they are eating something really native, our Madrid tapa tour does just that, emulating a real local tapas experience enjoying some of the best Spanish tapas in Madrid. 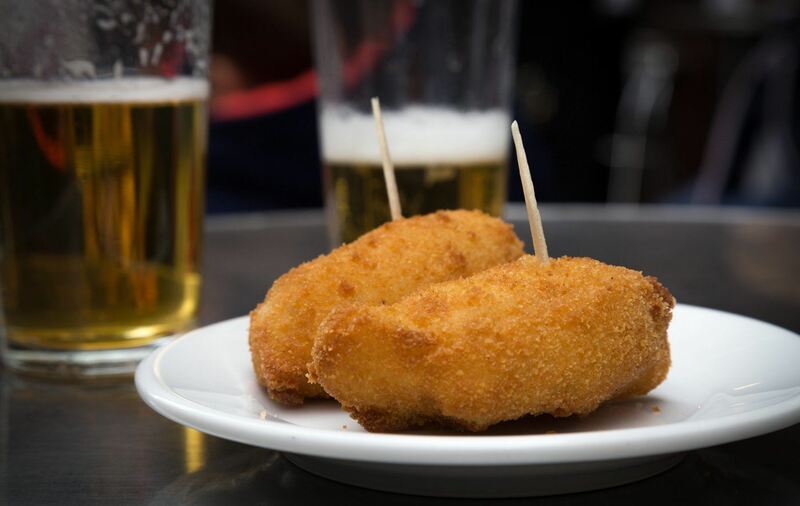 There are different types of croquetas in Spain, depending on the ingredients, but the most usual ones are made of a rich and creamy béchamel base with Spanish cured jamón Serrano or cod-fish, then lightly breaded and deep fried in very hot Spanish virgin olive oil. 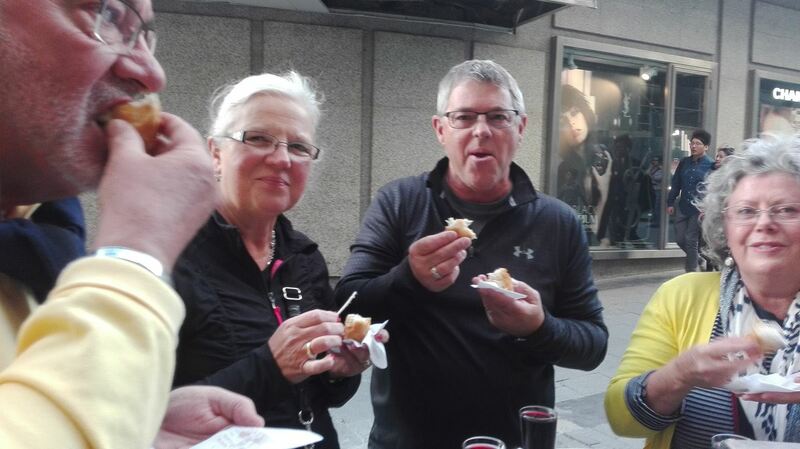 In our Madrid walking tour, we offer the cod croquette and our customers love it along with a nice glass of Valdepeñas fruity wine. Join us for one of our many Madrid tapa tours, hasta luego!